Victoria Police are looking to identify the female Grinch in the photos. 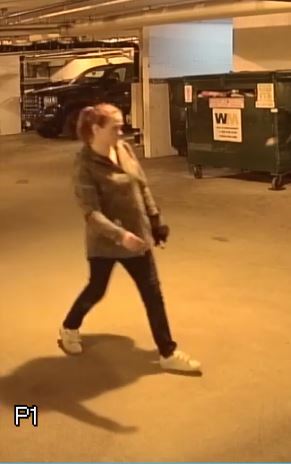 She illegally entered a private underground parking lot in the 600 block of Bay Street and stole various items from vehicles. Among the items stolen were a wallet, rubber boots, a backpack and of course a Christmas present. If you recognize the female Grinch, please call Victoria Police, or to report her identity anonymously, please call Crime Stoppers and 1-800-222-8477 (TIPS).